The competition will be held at the National Gymnastics Arena in the Azeri capital from March 14 to 17. The World Cup will serve as qualification for the 2020 Summer Olympic Games. As many as 44 countries have already registered to participate in this competition qualifying for the Games. More than 120 male and 49 female gymnasts are expected to compete for the medals and qualification scores. 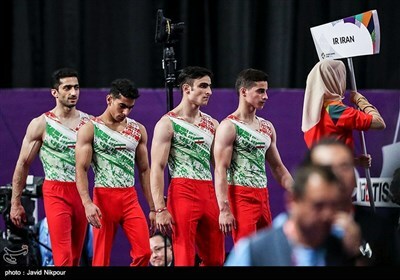 Saeed Reza Keikha, Mohammad Reza Khosronejad, Mahdi Ahmad Kohani and Mahdi Olfati will represent Iran in the prestigious competition.